Saggy knees and wrinkled elbows can certainly be an unpleasant sight. As the inimitable Nora Ephron once jokingly said, “If your elbows faced forward you would kill yourself.” A little dramatic? Maybe, but it’s good to know that these signs of aging can be reversed. Elbow and knee skin sags, wrinkles, and loosens with each birthday. Plus, the skin in these areas is often thicker, hence quicker to show dryness and wrinkling. Coupled with the inevitable loss of collagen and elastic tissue, this results in crepey, discolored skin. By the time we hit our late 30’s this can make even the most confident among us eschew short sleeves and skirts forever. Thankfully, there are solutions. Here, the truth about what works, what doesn’t, and how to improve the appearance of aging knees and elbows. Your first line of defense? Moisture, moisture and more moisture. Apply as much, and as often, as you can. Since the skin on your joints is often thicker than in other areas, try using an occlusive lotion specifically formulated for the body rather than applying one you already have in your cabinet for the face or eyes. Coconut oil is a good bet, as are products that contain the super-moisturizer urea, such as Kneipp Calming Body Lotion ($18). “AHAs such as glycolic acids are used for dry skin and to help anti-aging,” says NYC dermatologist Dr. Dendy Engelman. “They’re great for elbows and knees, where skin tends to be more dry and loose.” AHAs function as exfoliants by weakening the lipids that bond together, allowing dead skin cells to flake away from the top layer of the skin. “The molecules are small in size, which allows them to penetrate deep into the skin and increase collagen production by removing dead particles,” Dr. Engleman explains. With regular use these spots will get softer, smoother and more youthful looking. Apply your chosen product every other night. If after two weeks you see no irritation, increase the frequency to every night. Another option? Exfoliate with a washcloth every night in the shower. 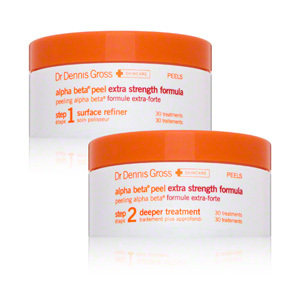 Our suggestion: Dr. Dennis Gross Alpha Beta Extra Strength Formula ($148). Hyperpigmentation – a condition where patches of skin become darker in color than the surrounding skin – can be successfully treated by 1% hydrocortisone twice daily, suggests Dr. Engleman, although she warns that it can take months to see results. Combined with the behavioral modification of not rubbing or applying pressure to your elbows or knees (good luck with that), this can actually help turn back the clock. “You can also try a skin brightener. After applying it to your face, just rub the excess on your elbows and knees,” says Dr. Engleman. 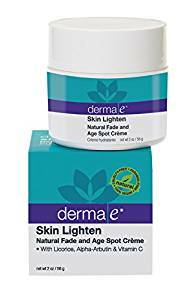 Try Derma E Skin Lightener ($24.95). As we age, our body naturally loses vitamin A (retinol), which acts as a hormone. This depletion contributes to normal signs of aging. Retinoic acid, the active form of vitamin A in the body, work to build collagen, treat wrinkles, and hydrate the skin. “Retinol exfoliates the top layer of the skin, also know as the epidermis. It is an extremely effective cell-communicating ingredient that has the ability to connect to almost any skin cell receptor site and tell it to behave like a healthy, younger skin cell. It also functions as an antioxidant, interrupting the free-radical damage process that causes wrinkling and other signs of aging,” says Dr. Engleman. 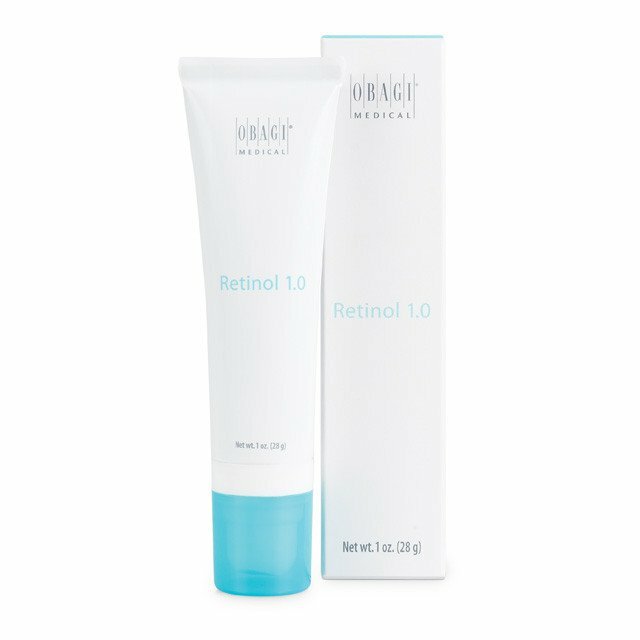 Med spas and dermatologists recommend Obagi Retinol 1.0 ($61). 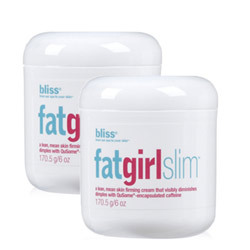 Try Bliss Fat Girl Slim, a concentrated skin-firming cream ($12). Collagen supports healthy, plump skin. As we age skin naturally decreases in collagen production, causing wrinkles and sagging. While dermatologists no longer inject collagen into the skin, there are other fillers that help to stimulate collagen formation, such as those with hyaluronic acid. “Injections such as Juvaderm and Restylane can replenish the loss of collagen with hyaluronic acid. As a result of the injection, the product will penetrate deeper into the skin than a topical cream and therefore yield greater results, causing the area to look more youthful,” says Dr. Engleman. Peels are a great way to remove dead skin build-up if exfoliation alone is not doing the job fast enough, or if you have a lot of dead skin build up. “If you receive a chemical peel at my office, the percentage of acid is going to be much higher than what’s found in store-bought products. At-home peels target the very top layers of the skin, exfoliating dead cells and exposing healthier cells. In-office procedures are used with stronger concentrations and penetrate deeper into the skin, thus providing greater results,” says Dr. Engleman. Radio frequency treatments offer subtle changes, but can be good for the right candidate with a little bit of loose skin. The energy penetrate deep into the skin, stimulating collagen and elastin production. As a result, skin becomes tighter and firmer. Another benefit: there’s no down time. “Studies have shown that devices like Thermage (which uses radio frequency) and Ultherapy (which uses ultrasonic technology) help tighten the skin and make it look more youthful. Another one is BTL Exelis, which combines both radio frequency and ultrasonic technology to provide the ultimate option in skin tightening,” suggests Dr. Engelman. Worth It – Or Waste Of Time? “Botox is a neuromodulator, which means that it works on the muscles to limit motion – obviously not something we want to do for our elbows,” says Dr. Engleman. Physical exfoliation can only do so much. While it can increase blood circulation and cell turnover, to really address the signs of aging you need ingredients that help reverse damage. A physical exfoliant simply buffs away dead skin cells on the surface, while a chemical exfoliant will break down cellular bonds, increase cell turnover, neutralize free radicals, and hydrate the skin. Our pick? 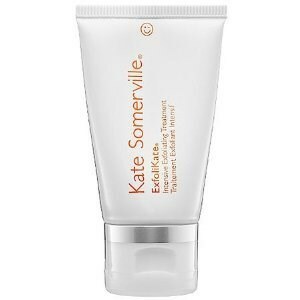 Try Kate Somerville’s ExfoliKate Intensive Exfoliating Treatment ($24). Self-tanning products aren’t going to help correct aging skin, since they contain no active ingredients. However, they can help improve the skin’s appearance temporarily by making the skin appear smoother and more even. Word of caution: self tanner soaks up faster where there is thick skin, so use a barrier cream or mitt to slow down absorption and prevent blotchiness. Try Tarte Brazilliance PLUS+Self-Tanner+Mitt ($39). Melissa Foss is a health, beauty and wellness writer who has been on staff at Harper’s Bazaar, Marie Claire, Good Housekeeping, Natural Health and Martha Stewart Weddings. She has contributed to InStyle, Real Simple, Coke.com, Modernluxury.com and has appeared multiple times on Today, GMA and E! She lives in NYC with her twins and rescue dog, Cassie.